All events and activities take place at the CHS Hall, Ifield Avenue, West Green, Crawley, unless otherwise stated. 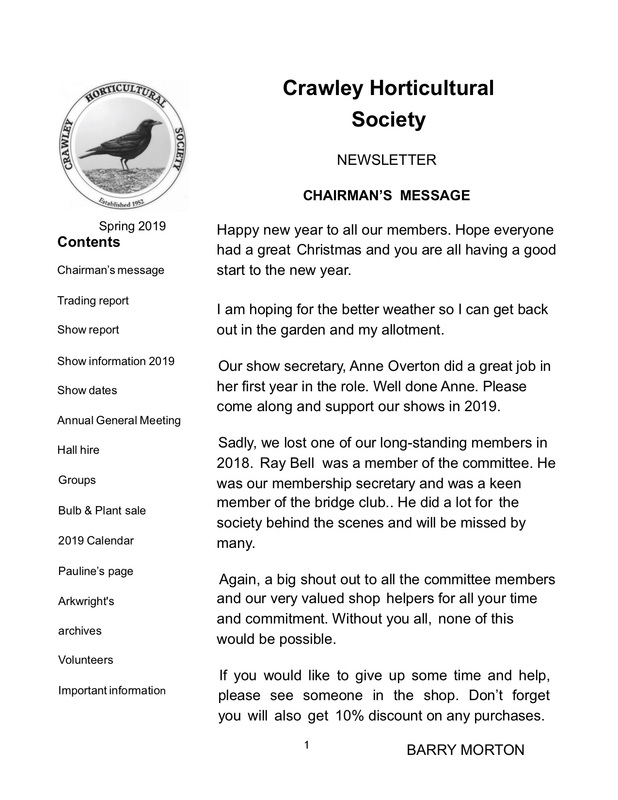 The full calendar can be found on pages 6 & 7 of the Spring 2019 Newsletter (see here). For programmes programmes,talks, and Show details, please use the tabs above.